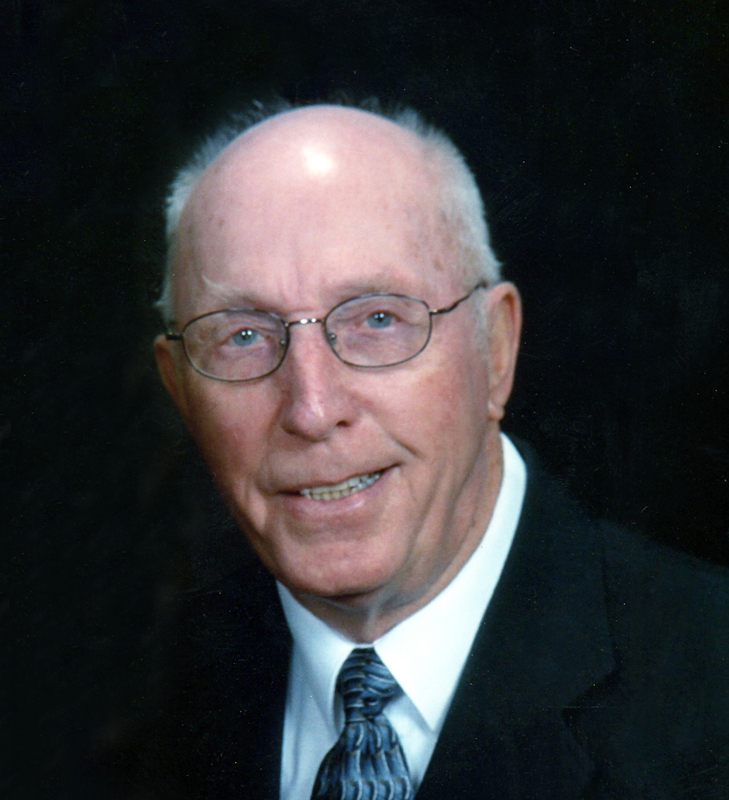 Obituary for Raymond Peter Doornbos | Langeland Family Funeral Homes, Inc.
Raymond Peter Doornbos, age 89, went home to be with his Lord and Savior on February 8, 2019. He was born October 9, 1929 in Kalamazoo, MI, the son of the late Evert and Fredericka (VanDam) Doornbos. Raymond graduated from University High and went on to earn both his Bachelor's and Master's degrees from Western Michigan University. He was a teacher at Mattawan and Kalamazoo schools for years and principal at Milwood and Spring Valley Schools. He was a member of North Park Reformed Church and formerly a member of Southridge Reformed Church, both at which he served as a Sunday school teacher, deacon, and elder. He went on two mission trips to Winnebago, NE and Haiti. He enjoyed traveling and living at West Lake. He and his wife, Virginia, wintered in Arizona for 15 years. He was an avid golfer and enjoyed working out at the Y, as well as having morning coffee at Bucky's Cafe with the guys. He was a member of Gideons for over 20 years and sang for many years with the Men of Song. Most of all, he enjoyed spending time with his family and friends, especially his grandkids. Ray will be remembered for his kind and humble spirit, love of good conversation, and his interest in people. Raymond was united in marriage to Virginia Gibson on July 11, 1953 in the First Baptist Church of Roswell, NM, who preceded him in death. He was also preceded in death by his older sister, Jeanette Wallace and younger brother, Rev. Charles Doornbos. He is survived by his children, Margie (Doug) Smith, Sally (Barry) Boekeloo, and Joe (Sheryl) Doornbos; grandchildren, Ashley (Chris) Fouch, Derek Boekeloo, Lindsay Doornbos, Lauren Smith, Matthew Smith, and Elena Smith; great-grandchildren, Quinn and Riley Fouch, Mason, Jaxon, and Braedon Wild; younger sister, Judith Krieger; sisters-in-law Betty Darnell and Elsie Doornbos; as well as many nieces, nephews and cousins. The family will receive friends Saturday, February 23 from 10am-12Noon at the Langeland Family Funeral Homes, Westside Chapel, 3926 South 9th Street, Kalamazoo, MI 49009, where a funeral service will be held following visitation at 12 Noon. A luncheon will immediately follow after the service. A private family graveside service will be held in East Cooper Cemetery.